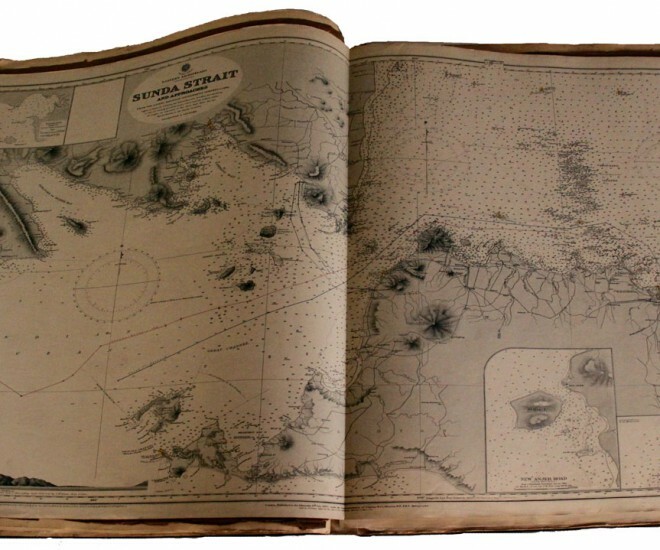 The Cable and Wireless Archive includes a collection of maps and charts dating from the 1850s to the present day. 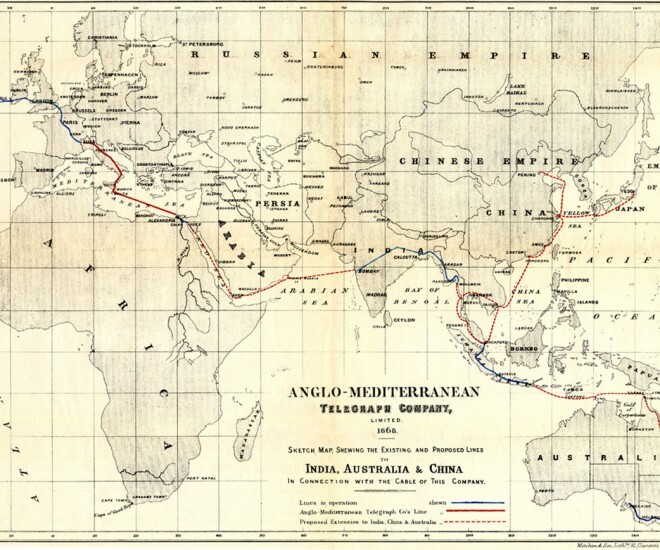 The maps show cable connections around the world, either focusing on one specific area or showing a particular telegraph’s company entire global network. 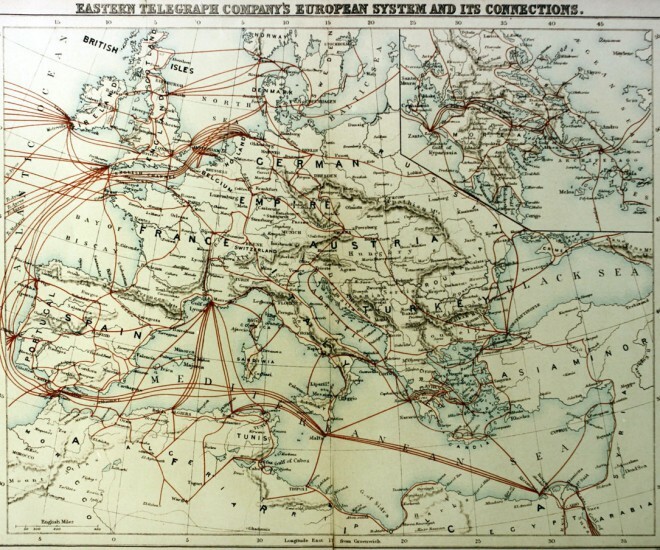 The earliest map is The Electric Telegraph Company’s map of Europe dated 1856 showing the cable connections from Dover to Ostend and Calais. 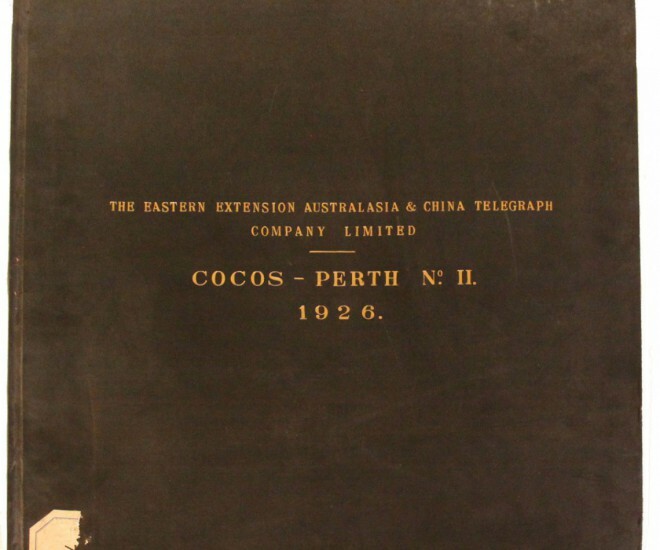 The bound charts were created during the laying of new telegraph cables and contain detailed information on exactly what route the cable was laid. These charts accompanied the Engineer’s report that provided technical data and a day-to-day account of the cable being laid.